A cryptic Western tale of identity and redemption set on the Idaho frontier, this tale from W. John MacGregor plays out amidst the catastrophic Big Burn of August, 1910: devastating and terrifying wildfires which destroyed millions of acres, burned scores of towns, and killed nearly one hundred fire-fighters and civilians. The hero of the story is a ranch hand whose coming of age during the final throes of the Old West has given him several identities: Tad Montgomery, the boy whose father was a notorious strike-breaker and killer; Thaddeus Roe, the law-abiding and sometimes heroic young man whose parents were brutally slain by the lawless Fewkes brothers; and Three Card Monte, the desperado (so the legends say) that he has now become. The tension produced by these three identities comes to a head as the fires of August, 1910, flare to epic proportions. Can the principles by which Tad has lived see him through this trial by fire? Is he defined by the sins of his earthly father? The answer is held not so much in the historical facts, such as they are; rather, the answer is in the heart of the reader. Inspired by a genuine mystery which falls out of the accounts of the Big Burn, this tale of rough men in rougher times leaves the reader with no easy outs, and there is no omniscient narrator to serve as a guide. Where does the truth lie? Maybe in a place just West of the Gospel... and just East of Eden. 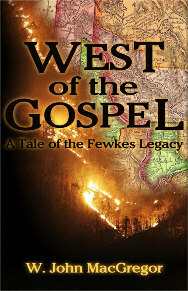 West of the Gospel, by W. John MacGregor, is the first entry in a series of tales based on the legends of the Fewkes Brothers, outlaws of the Pacific Northwest. Fifty years ago, celebrated author and Christian apologist C. S. Lewis completed what would eventually become a classic of children's literature: The Chronicles of Narnia. Originally conceived as a trilogy of novellas, the series began with the publication of The Lion, the Witch and the Wardrobe and apocalyptically culminated, after a total of seven volumes had been published, in The Last Battle. Most champions of the Chronicles laud the series for its allegorical retelling of the Gospel. 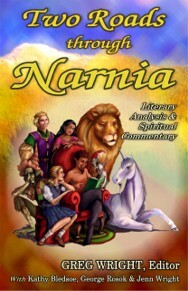 But the success of the Chronicles of Narnia is not only due to its spiritual appeal. Two Roads through Narnia makes the case that the Chronicles are best appreciated by understanding the books from both literary and spiritual standpoints. The essays in this volume analyze each individual story first as literature, then for spiritual symbolism. 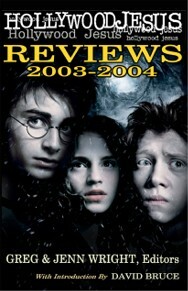 This volume brings under one cover the dozens of essays and lectures that first began appearing at the website HollywoodJesus.com in December of 2001. 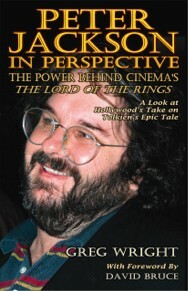 Since then, Greg Wright has analyzed and anticipated the cinematic choices of director Peter Jackson with almost prophetic critical insight. He rightly attributes the success of Jackson's trilogy to the power of film itself, the power of Jackson's artistry and the original power of J. R. R. Tolkien's literary masterwork. In so doing, Wright provides an educational, entertaining and respectful look at the process of bringing a much-loved novel to the screen. 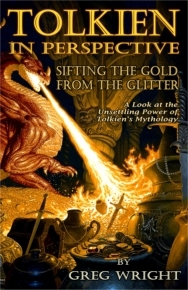 With his first book, Tolkien in Perspective (VMI, 2003), Wright stepped forward as a â€œmoderating and non-reactionary guideâ€� to the confusion of voices regarding The Lord of the Rings. In assembling a comprehensive and engaging discussion of Peter Jackson's award-winning adaptation, Wright now moves to the front of the pack. Nowhere else in print is there to be found such an extensive examination of the spiritual and artistic implications of the 21st Century's first cinematic masterwork. Over the last fifty years, The Lord of the Rings has been lauded as "The Book of the Twentieth Century," and called "required reading in every Christian household." It has been attacked by literary critics and religious leaders. Its detractors are many; its defenders are legion. But there is another option. "The chief purpose of life, for any one of us," Tolkien said, "is to increase according to our capacity our knowledge of God by all the means we have, and to be moved by it to praise and thanks." After fifty years, it's about time to get a real handle on dealing with Tolkien's work in the way Tolkien intended. For many, The Lord of the Rings has proven little more than a distraction from what Tolkien called the "chief purpose of life," while still remaining a terribly neglected means of bringing others to praise and thanks. The summer of 2007 was the centerpiece of a record boxoffice year for Hollywood, with sales rebounding from near-disastrous levels in previous seasons. The summer of three-quels played the major role, but there were major surprises that Captain Jack, Spidey, Shrek, and Jason Bourne could not deliver. Surprises like Facing the Giants, the follow-up to the Sherwood Pictures indie hit Flywheel. But that wasn't all. Spirituality played special roles in films like Children of Men and Pan's Labyrinth, too. 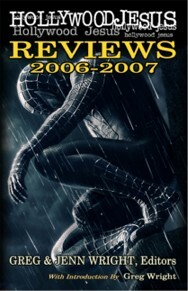 This year's collection of reviews covers 160 top films, every one of them reviewed from HollywoodJesus.com's spiritual perspective. The ideas that move the world infuse the cinema, and audiences are paying attention more than ever. Into the darkness of the theatre comes a great light. God is behind the screen and Jesus is in the seats. Take a close look when you're there. From the summer of 2005 through the spring of 2006, ticket sales rebounded from the near-disaster of the previous twelve months. Leading the charge were fantasy films and comic book franchises, with Superman, Batman, Harry Potter, Aslan the Lion, and Captain Jack Sparrow captivating wide audiences. King Kong even scaled more than the Empire State Building, grabbing a couple handfuls of year-end honors. But that wasn't all. Spirituality made new inroads with films about missionaries, ministers, and Madea. 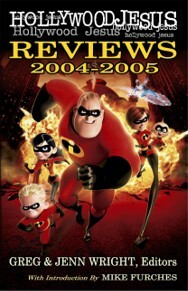 This year's collection of reviews covers 100 top films, every one of them reviewed from HollywoodJesus.com's spiritual perspective. The ideas that move the world infuse the cinema, and audiences are still paying attention. Into the darkness of the theatre comes a great light. God is behind the screen, and Jesus is in the seats. Take a close look the next time you're there. Boxoffice figures dropped dramatically between the summers of 2004 and 2005. From August through July, more and more audiences were taking their dollars elsewhere. Gone were the grand metaphyspectacles of the previous year. Where was Harry? Where was Frodo? Where was Spidey, man? Not even George Lucas or The Incredibles seemed able to save the day. But was all lost? Did twelve months of film have nothing worthwhile to say? Hardly. Spirituality still rocks Hollywoodâ€™s world. 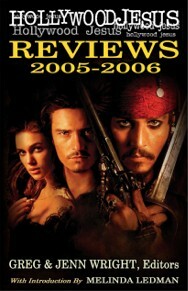 This year's collection of reviews covers 90 top films, every one of them reviewed from HollywoodJesus.com's spiritual perspective. The ideas that move the world infuse the cinema, and audiences are still paying attention. Into the darkness of the theatre comes a great light. God is behind the screen, and Jesus is in the seats. Take a close look the next time you're there. The Return of the King. Spider-Man 2. The Prisoner of Azkaban. The Passion of the Christ. Bruce Almighty... The twelve months spanning August 2003 through July 2004 once again brought a full slate of award winners, boxoffice champs, crowd pleasers and critics' darlings. But this year, the movies seemed bigger, grander and more spiritually aware. Notice has been served. This collection of reviews covers it all: 83 of the last year's top picks, and all of them reviewed from HollywoodJesus.com's unique perspective. Since 1997, the Hollywood Jesus website has been at the forefront of a new approach to the global film culture. The ideas that move the world infuse the cinema, and audiences are paying attention. More and more, what audiences find in the darkness of the theatre is the dawn of a spiritual reawakening. God is on the screen, and Jesus is in the seats. Take a close look the next time you're there. Hollywood Jesus Books is an independent and authorized print publisher for writers published online by HollywoodJesus.com. We also provide editorial and graphics design services. Please, no unsolicited manuscripts.